CONTINUING TO EXPLORE CONTEMPLATIVE LIVING WITH THOMAS MERTON’S NEW SEEDS OF CONTEMPLATION (September 28 - November 30, 2016) - Register below. WHO WAS THOMAS MERTON AND WHY SHOULD YOU CARE (November 2, 2016) - Register at Our Lady of Calvary. You may click here to download a copy of the brochure for this program. Please see more details and ways to register below. Program Offering: $75 payable at our first session in cash or check made payable to In Via Lumen, LLC. A minimum of 12 participants is needed for this program to be offered. Please obtain a copy of New Seeds of Contemplation to follow along with us during each session. New Seeds of Contemplation is one of Thomas Merton's most widely read and best-loved books. 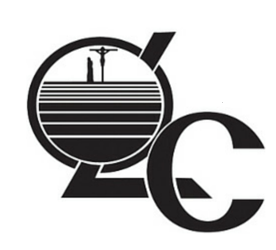 Christians and non-Christians alike have joined in praising it as a notable successor in the ancient Contemplative tradition of St. John of the Cross, The Cloud of Unknowing, and the medieval mystics. For Merton, "Every moment and every event in every man's life on earth plants something in his soul. For just as the wind carries thousands of winged seeds, so each moment brings with it germs of spiritual vitality that come to rest imperceptibly in the minds and wills of men. " During our 3-month Contemplative journey we’ll continue exploring Thomas Merton’s insights on Contemplative Living that was begun in the spring of 2016. New Seeds of Contemplation is structured as a series of independent chapters, so newcomers can easily join in our workshop sessions. In each session we’ll explore themes and writings from Thomas Merton’s New Seeds of Contemplation and consider questions designed to engage us in the process of self-exploration and personal sharing. Participants seek to incorporate insights gained each evening into their lives during the intermediate period between sessions and we’ll have time to share them at the start of each session. Thomas Merton (1915 – 1968) was a converted Catholic, Trappist monk, mystic, prophet, spiritual master, intellectual and prolific writer. He was responsible for the rebirth of Christian Contemplation in the 20th Century, a key leader in Peace and Justice and Interfaith Dialogue in the 1960’s. 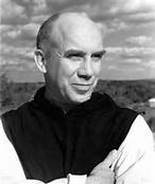 Thomas Merton had connected with and guided countless individuals and well-known spiritual thinkers, activists and writers including each Pope from John XXIII onward, Dorothy Day, Daniel and Philip Berrigan, Thich Nhat Hanh and the Dalai Lama. His writings attracted many men and women to religious life among them Fr. Richard Rohr, OFM and Fr. James Martin, S.J. who credit him as being important in opening them up to their vocations. Thomas Merton’s writings continue to enlighten those on a serious spiritual journey. He felt that writing openly and honestly about the insights and struggles he had during his own spiritual journey was part of his monastic vocation. He wrote with equal candor and spiritual depth about social issues and authentic interfaith dialogue. Thomas Merton’s calls his readers to contemplation and contemplative living; to compassion, justice and non-violence and to the recovery of an original unity which transcends surface differences. These themes and his insights continue to resonate with the deepest needs and hungers of the human spirit today. Both Programs Presented by Mike Smoolca. ​Mike Smoolca is coordinator of the Northern CT Chapter of the International Thomas Merton Society. He has been presenting Thomas Merton programs and facilitating workshops over the past 4 years. Mike has been reading Thomas Merton for 10 years and applying insights he’s obtained to his own spiritual journey. Mike is a Spiritual Director and active in several ministries in his parish, St Mary’s in Simsbury, CT. He is a Commissioned Presenter of Centering Prayer, an experienced contemplative group and workshop facilitator and dedicated student of Contemplative practices. A few years ago Mike retired from a nearly 30 year career in Business and Technology to focus on deepening his relationships, spirituality, teaching and service to others.